Next Best PUBG Mobile Controller For Android/iOS?? Flydigi Wee 2 Review!! PUBG Mobile is all over the news for the last few weeks and not in a good way. After multiple arrests were made in Rajkot, Gujrat and taking into consideration the health factor of the players that play the game continuously for more than 10-13 hours a day, Tencent Corporation, the brains behind the game have come up with a solution to help get things sorted out. And since the popular BR game is on the news for all the wrong reasons, PUBG corporation had to cave out and now have to find out a solution which can benefit everyone. According to reports, PUBG is now testing a 6-hour cooldown for users in India. This will not affect players outside of India as of now. The move has come as a shock to many players since there was no official announcement from the company itself regarding the cooldown. During the Holi holidays, many users came across the “health reminder” which got them worried. As of now, we are not sure about this since the official word from the company is yet to arrive. However, from a health perspective, this is a good way to stay active rather than sticking to your mobile devices the entire day. Also, this will help clear out the air around PUBG Corp. According to the new restriction that gamers say they are seeing, players are shown a warning first after the two hours of gameplay, and then after four hours, stating that they are soon going to reach the limit. 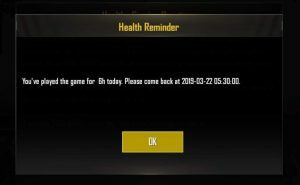 After six hours of gameplay, gamers say they are shown a pop-up box labeled ‘health reminder’. Players are told they have played for six hours, and that they will have to continue their session the next day. 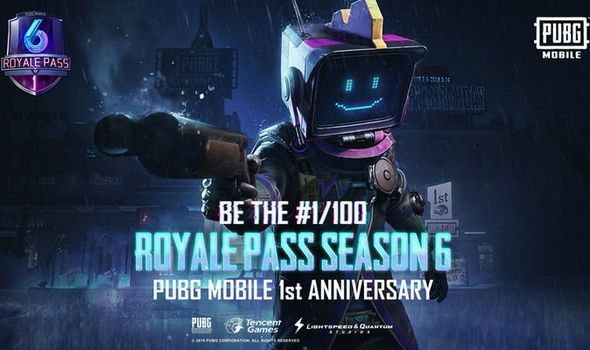 PUBG Mobile on 20th March kickstarted their Royale Pass Season 6 with some exciting new gifts and since it is their first year anniversary, they are planning something big, excluding the 6-hour restriction I hope so. What do you guys think about this?